FIFA underlined its commitment to Qatar as host of the 2022 World Cup, despite the growing number of concerns about the suitability of the Gulf state. Revelations about the abuses of Nepali migrant workers in Qatar have added to concerns about the problems of a summer tournament in 50 degree heat and allegations of corruption in the bidding process. Sepp Blatter reiterated FIFA's support for Qatar's World Cup and said there is no way that the country will be stripped of the tournament. "The FIFA World Cup 2022 will be played in Qatar. 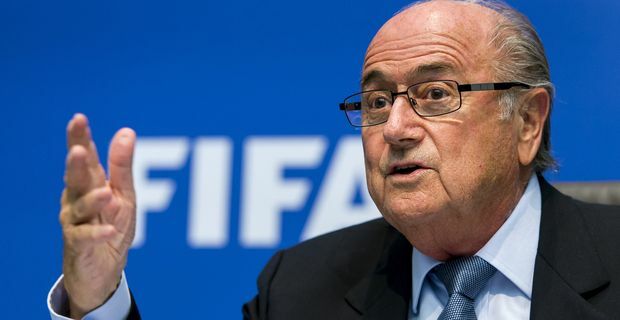 There you have it," Blatter said, seeming to confirm the suspicions of those who think FIFA considers itself above such minor matters as international law and human rights. The Qatari authorities have airily assured FIFA that the human rights of migrant workers will be addressed. A former Interpol vice-president is launching an investigation into the ethics of the bidding process for the 2018 and 2022 tournaments, but as the investigation comes under FIFA's aegis, it is unlikely to uncover anything that will upset the status quo. Which leaves the matter of the weather. Even Blatter accepts he can't stop the sun shining, which means that FIFA and Qatar may have to throw a lot of money at various football authorities to persuade them to agree to a winter tournament in 2022. Blatter has kicked the can down the road by delaying a decision on that issue. "I wanted to create a discussion on summer or winter," he said. "I did not expect we'd make a decision now. We can't make a decision without consulting our partners." In effect, the cynics say it will boil down to cash. UEFA will gauge how much it will cost to reschedule the Champions League and ask the Qataris to write the cheque. Global football long ago lost any sense of integrity. Let's just hope the oil doesn't run out.